Whilst they may appear to be widely separated by country roads and beautiful scenery, they are all part of the Church of Scotland, one body of faith and fellowship. 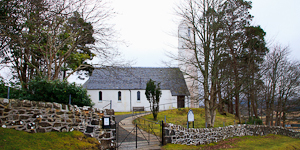 Each church has a different character, particularly architecturally, but their congregations are equally welcoming whether you live on Mull or are a visitor. The churches aim to work together and try to ensure that anything that is done in the name of the Church of Scotland is honouring to the Lord, supportive of the communities they serve, and welcoming to everyone. Craignure – As the ferry from Oban steams into Craignure on the Isle of Mull, the harled white washed walls of the little church of Torosay and Kinlochspelve can be seen, standing proud …. continue reading. Dervaig – The Parish of Kilninian and Kilmore covers the north-west corner of Mull and its largest centre of population is the village of Dervaig, about seven miles west of Tobermory ….. continue reading. 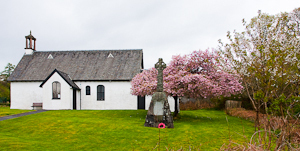 Salen – There is a long history of Christian worship in the area around the community of Salen. This is a rural area, with a thriving village. 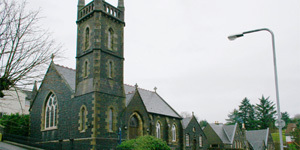 There are 2 schools, one in Salen which has a Scripture Union ….. continue reading. 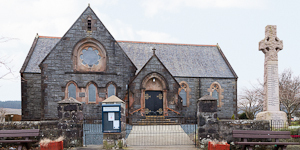 Tobermory – There has been a parish church in Tobermory’s upper village since 1828 – the original building was replaced by the current Victorian gothic style building in October 1897 and since then additions ….. continue reading.